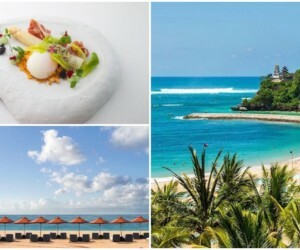 Take a trip to Bali’s dazzling Nusa Dua neighbourhood and it’s white-sand beaches, family-friendly resorts and wild watersports for as far as the eye can see. Well now, there’s a world-class wellness destination to add to that list too. Ever since the recent opening of REVĪVŌ Wellness Resort in March, Bali’s southernmost coast is officially on the map as a go-to spot for inside-out, head-to-toe healing. 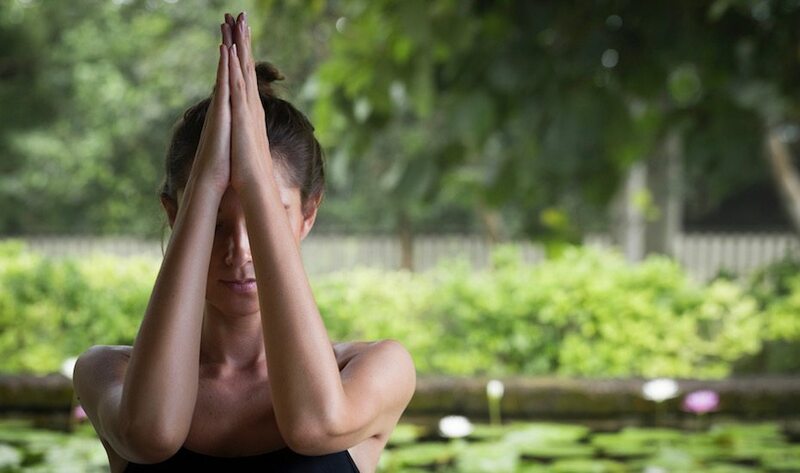 Armed with an alliance of nutritionists, aerial yoga gurus, specialist therapists and crystal healers, REVĪVŌ is shining an international light on the Nusa Dua ‘hood – and after three blissful days of medicinal treatments, wholesome cuisine and self-awakening activities, we can see why. Here’s what we loved about this new Bali retreat. When it comes to capturing that idyllic retreat vibe, REVĪVŌ ticks all the right boxes – and more. From the stone-built lobby doors gorgeously draped with fresh trails of flowering orchids, to the oasis-like gardens dotted by bright white cosy daybeds and a rippling lap pool, this place is the bee’s knees for checking in, chilling out and putting your feet up. 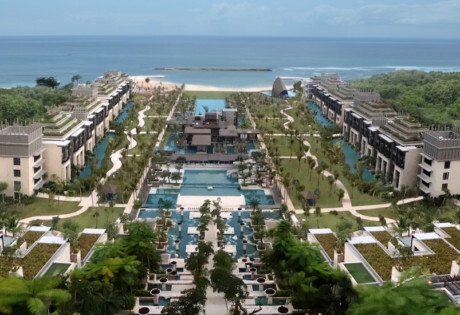 The minimalistic architecture and shady nooks are set over three hectares of wide open space, nestled high up on the lush hillside of Nusa Dua to catch a gentle, ever-present breeze from the Indian Ocean out yonder. 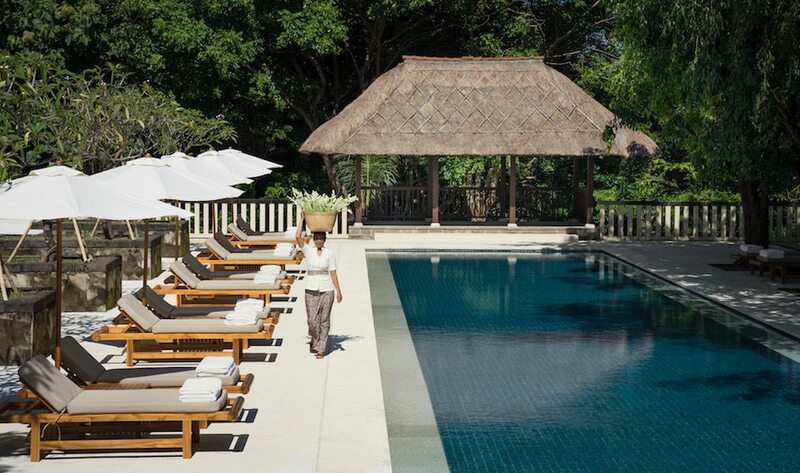 A dense teak forest surrounds the resort, lined by 16 Balinese-style suites, including two 4-bedroom villas for the ultimate decompression from bustling city life. 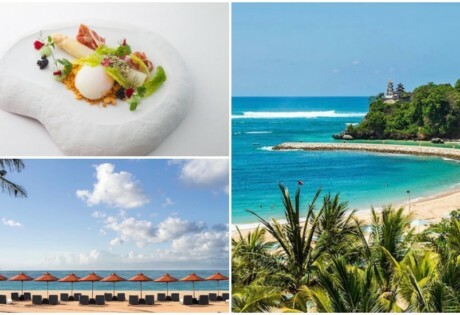 Cosy up on the poolside lounges, dangle above lush foliage on the forest swing, feast on healthful food at the al-fresco restaurant, or stretch it out in the aerial yoga pavilion. It’s easy, breezy outdoor living at its best. 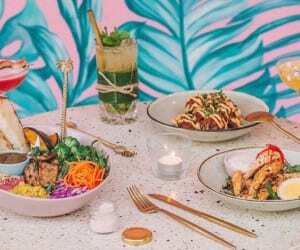 Real talk: no one likes a limp salad that leaves you craving carbs, so the menus at REVĪVŌ have been carefully (and generously) designed by the resort’s own creative nutritionist, Aliwalu. From the restaurant to the bar and the poolside lounge (named Nū, Tri and Ō), every dish here is made using an abundance of seasonal ingredients served as close to their natural state as possible, adapted to suit each guest’s nutritional needs. Vegan? Easy peasy. Lactose intolerant? No problem. Gluten-free? You’re in luck – there’s not a single crumb of wheat or barley anywhere in the resort’s kitchens. 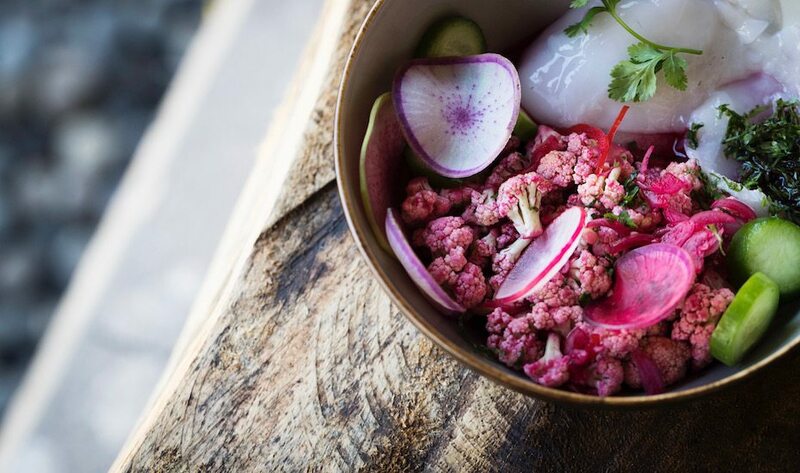 The focus is instead on high protein dishes with a good balance of healthy fats and low carbs – all given a Balinese twist. And if that doesn’t sound delicious enough, by using organic ingredients from nearby farms, REVĪVŌ is set on supporting local farmers, sustainable agriculture and environmentally friendly products – all with no additives, preservatives or refined or processed ingredients. That means you can feast to your tummy’s content on zesty zucchini spaghetti, chunky soups, corn fritters with homemade dips and organic roasted root vegetables rich in herbs and spices. Guilt-free feasting from start to finish. Packed to the blissful brim with ancient Balinese healing traditions, aroma, hydro and chromo therapies, the third focus of REVĪVŌ is the holistic spa, complete with state-of-the-art facilities designed to nurture the body through wellbeing and balance. 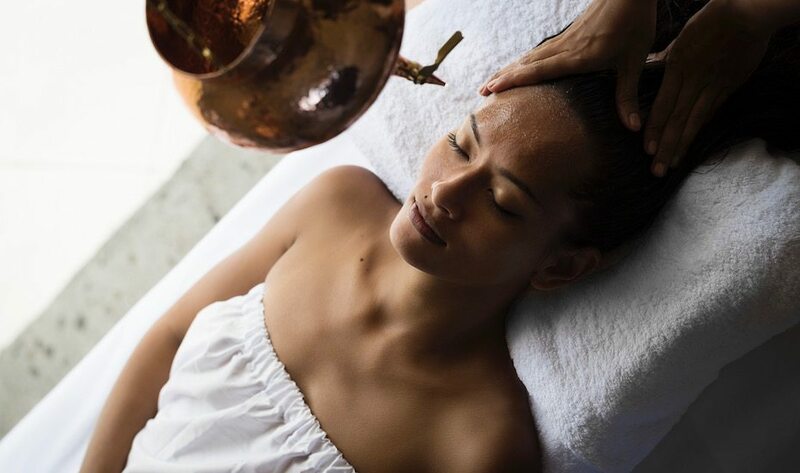 The spa stays true to the age-old tradition of using natural elements from the surrounding environment to heal, and each therapeutic treatment (from the restorative massage to the raw facial) is customised by specialist therapists using herb-infused oils, aromas and ahh-inducing massage techniques. The spa even has its own hydro jet Vichy showers, hot and cold plunge pools, a Jacuzzi, infrared saunas, steam rooms, an aromatic garden and a salt water floating pool surrounded by tropical greenery. It’s pure pampering bliss. Completing the resort’s head-to-toe, inside-out wellness concept, REVĪVŌ also prides itself on its bespoke health and fitness programs that not only challenge the physical body, but also train the mind. 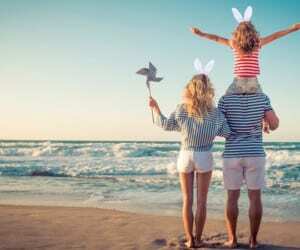 Depending on your goals, the tailor-made programs cover detox and organic weight loss, anti-ageing plans, emotional balance programs and destressing techniques that promote better sleep. 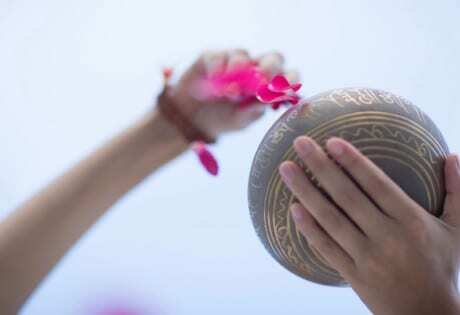 to simultaneously cultivate physical, mental and spiritual wellbeing. Sound like resort heaven to you? There’s more. 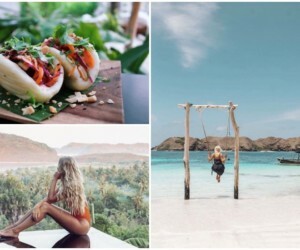 Following REVĪVŌ’s resounding success and global hoo-ha over this debut location, there’s already plans for a REVĪVŌ Wellness Cruise around the Komodo National Park in early 2019, followed by the REVĪVŌ Château de Fiac in France in mid 2019. Watch this space, Honeys! REVĪVŌ Wellness Resort, Jl Desa Sawangan, Kelurahan Benoa, Nusa Dua, e. info-nusadua@revivoresorts.com.